You are completely new to XPEnology and have no idea where to start? Start by introducing yourself and tell us what you have in mind. WIFI instead Ethernet? Is it possible? Why does Jun's Modloader need Haswell, software limitation? Wake on lan with real mac address ? 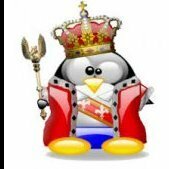 NOOB: do I need a windows to install xpenology? Can I use a macbook?